One of the most vital and impactful things CVMA does is advocate on behalf of the veterinary profession in Colorado. Without the strength of our 2,000+ members behind us, and without your annual membership dues, we could not effectively work under the golden dome to protect you and your practice. We fight to make sure legislators know how proposed bills can help or hurt your livelihood, veterinary medicine, and animal health and welfare. This is no easy task and no one person alone could hope to achieve what we can accomplish when we come together as a single voice. Make sure your voice continues to be heard. Make sure we can continue to protect your interests. 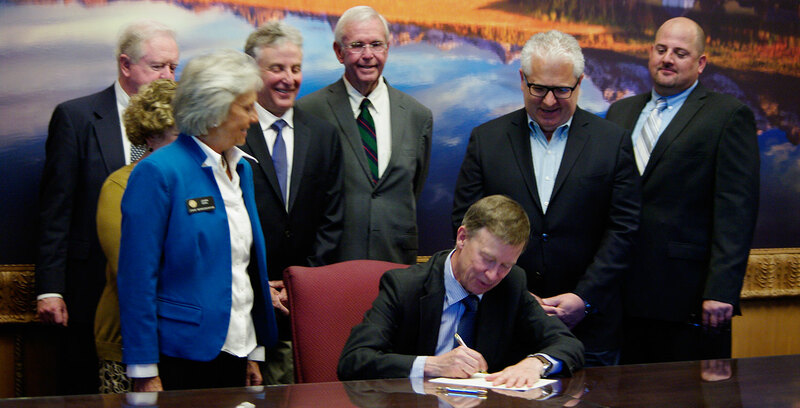 Together, we can protect veterinary medicine in Colorado. The 2019 Colorado legislative session is underway! CVMA is actively monitoring, supporting, and opposing several bills that have the potential to impact the veterinary or animal welfare communities. For full bill descriptions, actions, and status of all the bills followed see the CVMA Bill Tracker.